View the developer diary here. STRAIGHT FROM THE DEVS - Helsinki, Finland - May 15, 2018 - Independent game and technology studio, 3rd Eye Studios is releasing its zero-gravity space adventure, Downward Spiral: Horus Station onMay 31st for PC, with optional, Oculus Rift with Touch, HTC Vive and Windows Mixed Reality support for £14.99, €14.99 & $19.99. Atmosphere and environmental storytelling are key to Downward Spiral: Horus Station. Players will have to piece together the mystery surrounding the derelict space station entirely through observation and interpretation, as the game doesn’t feature any dialogue or cinematics. Instead, the mood is maintained through a kitschy, 70s-inspired retro-chic aesthetic and an electronic ambient soundtrack composed by platinum selling HIM frontman Ville Valo. 3rd Eye Studios realizes that not everyone likes to play games the same way. So Downward Spiral: Horus Station features a raft of gameplay options to tailor the experience. 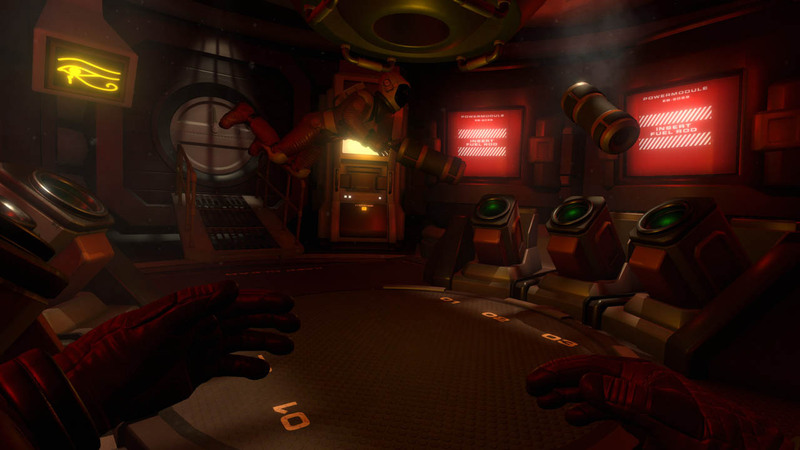 Virtual Reality and motion control are supported for those who prefer that extra level of immersion, the game can be played entirely in single-player or co-op, and there’s even a game mode that removes combat entirely from the campaign for players who prefer a more relaxed, contemplative experience. In addition to Horus Station’s story campaign, there’s eight-player PvP and PvE multiplayer modes including Deathmatch, Horde and Survivor challenges. Visit the Downward Spiral: Horus Station website. For more on 3rd Eye Studios check out their official website. Follow 3rd Eye Studios on Twitter. Like 3rd Eye Studios on Facebook. Located in Helsinki, Finland, 3rd Eye Studios was founded in June 2016 by a group of game industry veterans, who previously worked in senior positions at Remedy Entertainment, Unity Technologies, Bugbear Entertainment, RedLynx and Moon Studios. The team develops innovative games and groundbreaking technology built specifically for developers. The company launched its first game Downward Spiral – Prologue at the end of March 2017, with its follow-up Downward Spiral: Horus Station due in Spring 2018.